Islands of Cats: 300,000 Stray Cats in Malta and Gozo - Beloved or a Nuisance? 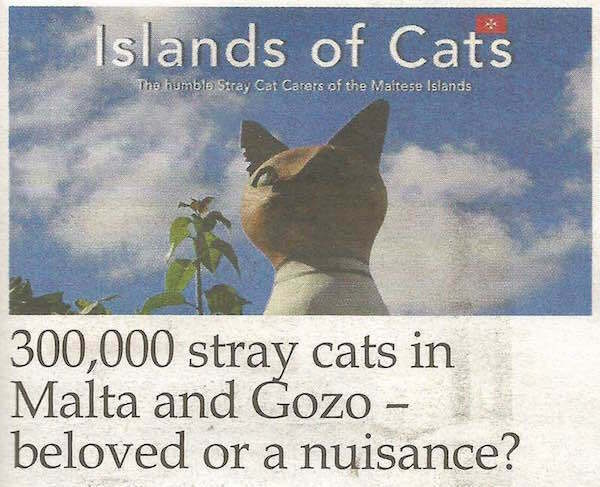 300,000 Stray Cats in Malta and Gozo! Beloved or Nuisance? More than 1,000 individuals from all walks of life, nationality, gender and age group take care of the many stray and abandoned cats on our Islands. Far from being a hobbyists and not always appreciated by fellow citizens, these primarily private initiatives render an important service to Malta’s environment. 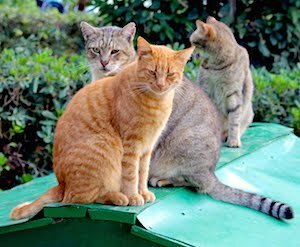 Visit Malta’s branch office in Japan features a map on their web site where Japanese tourists can find spots to watch stray cats on Malta and Gozo. Tourists happily photograph the feeding of stray cats in Argotti and San Anton Gardens, or embark on a chat with a stray cat carer in Sliema’s Independence Park. These cats are good looking, well-fed and unobtrusive in behaviour. Plates and bowls with food and water can be seen in many places, sometimes even sheltered. Malta’s stray cats belong to the landscape as much as luzzus, lizards, and lampuki. Who are these people actively caring for an estimated 300,000+ stray cats and how does the local environment benefit from it? Together with their research for their book ‘Islands of Cats’, the authors learned about the unknown advantages, such as, if cats are moderately fed, rodents will stay away. Caring and feeding stray cats daily and in fixed locations keeps them from roaming and tearing up garbage bags. However, most important, stray cat carers control a great part of the cat population by having them neutered and spayed as young as possible. As a result, neutered tomcats are less noisy and do not spray their territory anymore. It is the devoted work of these stray cat carers that the growth of this highly procreating species is kept at bay and is now gradually diminishing. Uncomplaining, the carers often cover the costs of veterinary needs and decent cat food personally. ‘Islands of Cats’ portrays a representative 22 stray cat carers in Malta and Gozo. The self-published ebook pre-release also comes with interviews and informative cat facts on 121 pages. Its 222 colourful photographs extend to several chapters about places of interest for readers abroad, with outlines in English, German, or Maltese. A hardcover version will follow as soon as funding for printing has been secured. 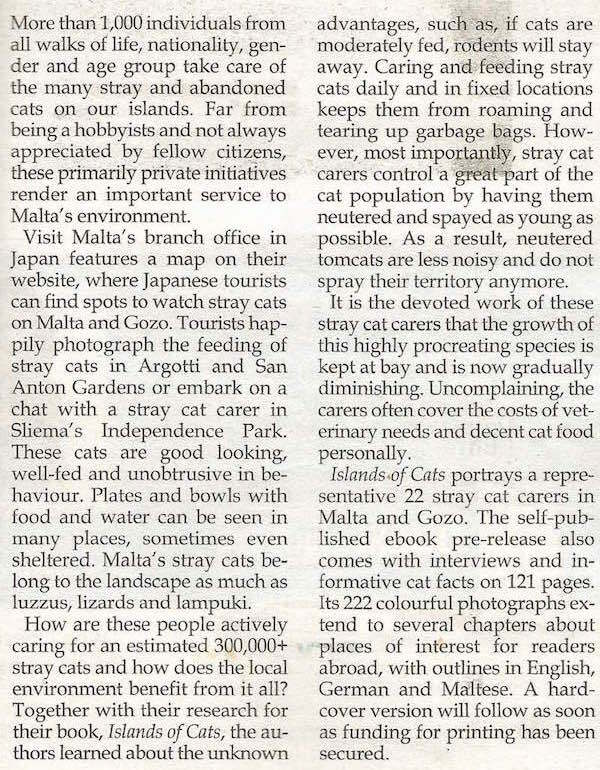 ‘Islands of Cats’ aims for readers in the Maltese Islands as well as animal lovers all over the world.